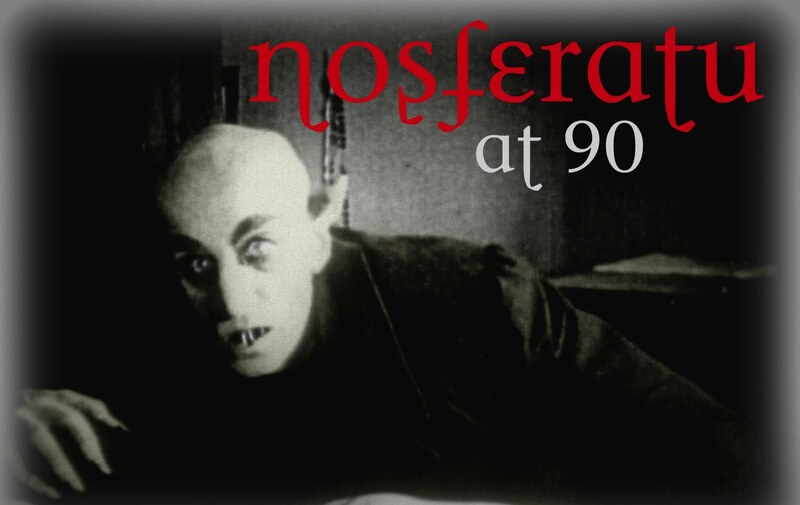 The Vault of Horror: Nosferatu at 90: Who Was Max Schreck? Nosferatu at 90: Who Was Max Schreck? His very name is the German word for "terror". Perhaps this was one of the reasons why many believed it to be a pseudonym--surely no actor known for playing such a terrifying role could really have a name like that. Or perhaps it was not a pseudonym after all--perhaps, as some fancied for years, the man himself was no mere actor at all, but actually was what he portrayed onscreen--a bloodsucking member of the undead. The legend of his mysterious nature was so persistent that it even formed the basis of the 2000 mock biopic Shadow of the Vampire, in which director E. Elias Merhige postulates that the man who played Count Orlock, a.k.a. 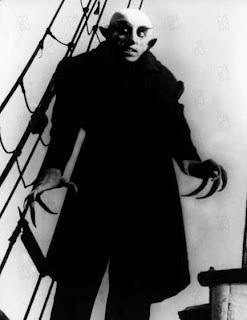 Nosferatu--truly was a vampire himself. A testament, if nothing else, to his iconic, thoroughly convincing performance as the silver screen's first such creature. But nevertheless, to the disappointment of goths everywhere, Max Schreck was a mere mortal after all. He was born Friedrich Gustav Max Schreck on September 6, 1879 in the Friedenau section of Berlin, Germany--although the details of his early life are admittedly sparse, we know this much is true. And he was most certainly an actor--one, in fact, who was quite passionate about his calling, heading directly to the State Theatre of Berlin for instruction as soon as his regular schooling was complete. It was in 1902 that a 22-year-old Schreck finished his training and emerged on to the German dramatic scene during a time when motion pictures were still in their earliest infancy and the stage was still really the only place for a young performer to make his name. Seeking to learn his craft, he toured his native country for a few years with various troupes until finally settling in with the highly prestigious company of Max Reinhardt--then one of the world's leading stage impresarios and a producer responsible for launching the careers of many of a future film star. Schreck would turn out to be one of these, as the actor approached the prime of his career just at the moment that Germany was exploding onto the cinematic scene as one of the leaders in the burgeoning technological art form. Expressionism was taking root in a big way, and in the wake of the first World War, Germany was reestablishing itself as a hotbed for the new medium. It was while appearing in the Drums in the Night, the debut production of soon-to-be acclaimed German playwright Bertolt Brecht, that Schreck was approached to be in his first motion picture--Der Richter von Zalamea. The gaunt, almost otherwordly actor was a natural for the movies, especially during the silent era, when the face was everything. This was doubly true of the Expressionist era, during which stage histrionics of the sort used by Schreck and others were all the more grandiose when projected on to a giant screen. 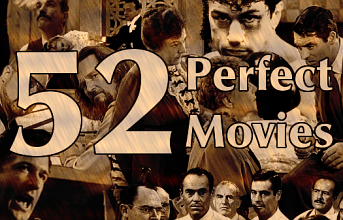 That first role would lead to the part that would eventually make him famous--or infamous--throughout the world. F.W. Murnau, one of the leaders of the German Expressionist film movement, was busy adapting--unofficially--Bram Stoker's novel Dracula into the world's first feature-length vampire film, and Schreck seemed the perfect fit for the lead role of the monster. Specifically in Murnau's vision of the story, the Count--here called Orlock to avoid a lawsuit from Stoker's widow that would come anyway--was to be vastly different from the furry aristocrat the Irish author had envisioned. Rather, in line with Expressionistic aesthetics, Murnau wanted a hideous, demonic-looking vampire--one who closely resembled the rodents he carted across Europe with him. We'll never know if Schreck was insulted the director wanted him for the part, but we do know that he took it, and it would go on to become the single thing he would become known for, to the exclusion of all else. So thorough was his immersion in the part that, combined with the relatively nothing that was known about him by the world at large, it came to be assumed by some that he might actually be the thing they saw on screen. Even for those too well-grounded to believe in such stuff, there was no denying the man's thick aura of mystery. Here was this strange German actor, who seemed to just appear out of the blue to play this nightmarish villain on screen, and then promptly return to obscurity afterward. Add to that the notoriously tortuous path the film took to the general public--getting banned by a German court due to copyright infringement, and having nearly all copies destroyed to the point that it would take decades for the silent gem to finally emerge as a rare cult classic--and it's easy to understand why Schreck became such a fascinating character to movie buffs. But despite the fact that the world at large would only know him decades later as the first filmic vampire, Max Schreck did not actually vanish into a puff of smoke following the release of Nosferatu in 1922. Rather, he continued to have a busy career in the German cinema. He did some slapstick comedy work for Brecht in the playwright's own one-reeler short, Mysteries of a Barbershop. He rejoined Murnau for the 1924 comedy The Grand Duke's Finances, and appeared in many other films such as The Street and Dona Juana. 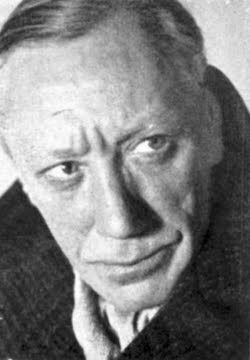 His career even survived the advent of talkies, as Schreck continued to appear in movies well into the 1930s, and well into his 50s. 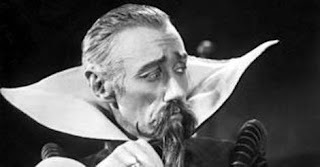 After making a return to the stage at the age of 56 to play the Grand Inquisitor in the play Don Carlos, Schreck was taken to the hospital on February 19, 1936. 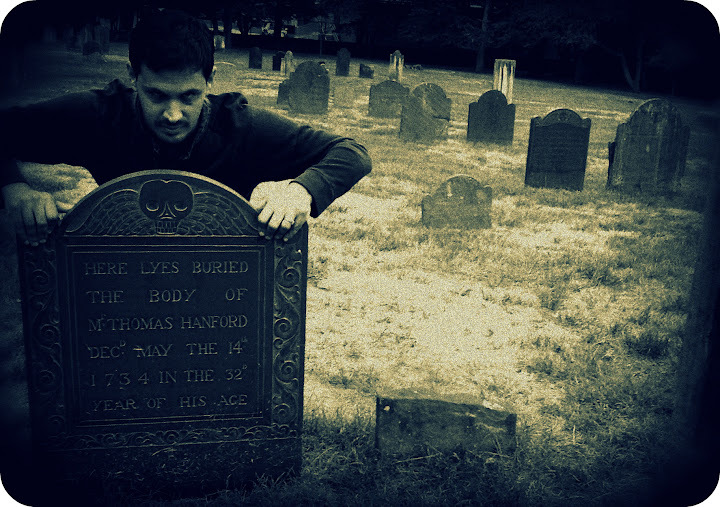 He died early the next morning of a heart attack--a most un-vampiric way to go if ever there was one. He was buried March 14, 1936 in an unmarked grave at the Wilmersdorfer Waldfriedhof cemetery in Berlin, and as far as we know, has remained there ever since. 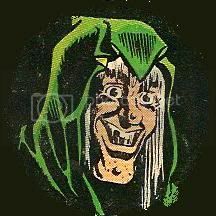 There's no denying Schreck was a strange fellow, and even his own contemporaries described him as such. A born loner with a reportedly unique sense of humor, he didn't do much to endear anyone to him, except perhaps his wife, fellow German silent film performer Fanny Normann (the couple had no children). He was said to enjoy walking through dark forests alone, and lived metaphorically in a "remote, strange world", according to his 2008 biography, Max Schreck: Ghost Theatre. He was also an actor of great skill and versatility, who never quite got his due, especially outside of his home country. Not even Nosferatu made him a star, as that film was all but lost to the moviegoing public for many years after its release. Today, his name is literally synonymous with cinematic horror, and deservedly so. He gave us one of the first great movie monsters--and perhaps still the most frightening. He may have been just a man after all--but thanks to Nosferatu, his legacy is now as undying as the rumors once held him to be. Despite his death, Max Schreck is a name that will forever be synonymous to the horror genre. If there was ever a role someone was meant to play in their lifetime, Nosferatu was surely the one for Max. Great post; I never thought one could write as much about such an enigmatic person. And you write that he even has a biography? B-Sol, the 10 greatest icons in the history of horror cinema: Max Schreck, Boris Karloff, Bela Lusogi, Vincent Price, Christopher Lee, Peter Cushing, Robert Englund, Heather O`Rourke, Linda Blair, and Linnea Quigley. Would you agree ?. Glad you enjoyed The Vault of Horror's return post, Jenny! Alex, you couldn't be more right! Keir, there is indeed an autobiography. And I think I'll be reading it very soon. Steve, interesting list. Hard to limit it to just ten, but I'd have to say you're close to the mark. Not sure I'd give it to Linda Blair and Heather O'Rourke just for one major horror franchise apiece though. I still think Linda and Heather have become at least "semi-legendary" within the horror movie community over the last 25 or 30 years (although for very different reasons obviously). I must admit though that the only reason i included Linnea was because the bird was so gorgeous when she was in her 20`s. Linnea Quigleys birthday is the same as Vincent Price and Christopher Lee, its also just one day after Peter Cushing, theres definitely something weird and eerie going on here B-Sol, those co-incidences cannot easily be dis-missed, i think you`ll agree. Brilliant piece. "Nosferatu" is a favorite, and I hate vampires. When I was writing "Nothing Men" "Nosferatu" was in my mind, even though it isn't a vampire novel (the theme of vampires are alluded to throughout, however). That film and the actor who portrayed him, mesmerized me ever since I saw a still from it as a young child. He will forever be THE vampire. That birthday coincidence is indeed very weird, Steve. It's like a strange alignment of the horror planets...Thanks, Doug, glad you enjoyed it! Couldn't agree more about Schreck. He remains so incredibly iconic.